Welcome back to our October 2008 issue #005 of Bangkok Travelbug. We have quite a number of vivid images of Bangkok for you in this issue. Some are poignant, others nostalgic. October is a sad month in Thai history. It’s the anniversary of two violent political upheavals that resulted in hundreds of lives lost. In October 1973, hundreds of thousands of students and workers massed for a demonstration against the government of Field Marshall Thanom Kittikachon. The situation was further inflamed by the arrest of 13 student activists. On 14 October 1973, the army cracked down on the protesters and hundreds lost their lives. Field Marshall Thanom had to resign and leave the country as a result. But the month of October was to return to haunt Thailand again. In October 1976, Field Marshall Thanom returned to Thailand and was ordained as a monk at Wat Borwornniwet. This enraged the students of Thammasat University who were the catalyst in the protests three years earlier. They felt that this was an insult to comrades who lost their lives. In a tragic twist of events, already high emotions got out of hand. 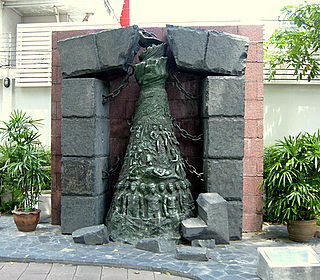 On 6 October 1976, right wing ultra-nationalist groups raided Thammasat and massacred the left-wing students. The tragedy was a nightmare society preferred to forget. 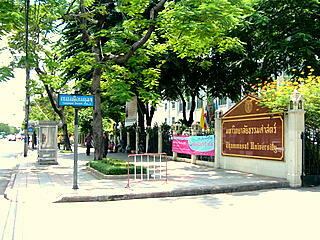 But Thammasat University remembers the month of October. These two memorials are in the grounds of the main campus in Sanam Luang. They stand as monuments to the brave young men and women who stood up and died for a cause. This tendency to resort to street demonstrations and sometimes violence to overthrow unpopular governments has prevailed to this day. According to a Thai political maxim, “People in the rural provinces elect governments, people in Bangkok throw them out”. Until the rule of law can be enforced regardless of one’s station in life, peaceful change through constitutional means remains elusive along the bumpy road to democracy in Thailand. 14 October is also the end of the Buddhist Lent, the 15th day of the full moon in the 11th lunar month. Hopefully this will bring an end to the rainy season which has caused floods to ravage many parts of northern, north-eastern and central Thailand, an annual natural disaster plaguing the nation for many years. As at 26 September, more than 800,000 people have been affected. Several provinces in the central region have remained under water for almost three weeks! The floods have wreaked severe damage on farms and homes. With rice fields inundated for weeks, the annual crop is ruined and so are many farmers. On 23 October, the nation observes Chulalongkorn Memorial Day, which commemorates the death of King Chulalongkorn or King Rama V on 23 October 1910. 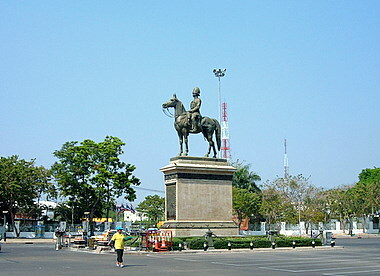 King Rama V, the grandfather of the present king, is one of the most beloved monarchs in Thailand as he was responsible for far reaching reforms to the kingdom. It is only after having an idea of the achievements in the Fifth Reign, can one begin to understand the deep seated respect Thais hold for King Rama V.
After a long wait for more than a decade, the Bangkok Arts and Cultural Centre finally opened in July 2008. 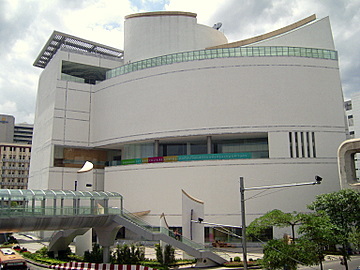 Built at a cost of more than 500 million baht (approx US$15 million), the 25,000 sq m 11-storey circular building has corridors for exhibits all round. The interior is brightly lit with a pleasantly light decor that’s pleasing to the eye. 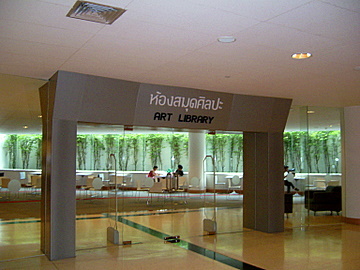 Run by the non-profit Art Foundation of Bangkok, the centre includes art galleries, a permanent exhibition area, a mini-theatre, an art library in the basement, shops selling art supplies and F & B outlets. Visitors are free to wander round the floors to view the exhibits and photos are permitted, a refreshing change from some of the other museums and exhibitions. Conveniently located at the Pathumwan junction opposite the Mah Boon Khrong shopping mall, the centre is between the Siam and National Stadium skytrain stations. It’s linked by an elevated walkway to Mah Boon Khrong and the National Stadium station. Opening hours of the centre are from 1000 – 2100 hours. It’s open every day except Mondays. 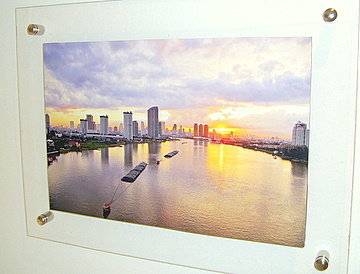 Here are two of my favorites taken from a photo exhibition on the Chao Phraya River. 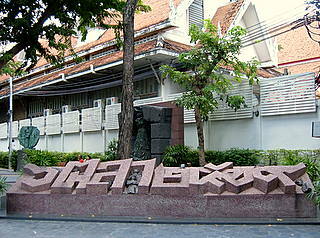 I first visited the Bangkok Folk Museum in 2004 when it was opened. On 30 August 2008, I revisited the museum to get some photos of this old Bangkok home which preserves the lifestyle of the early 20th century. 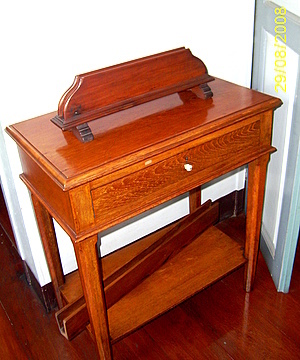 There are several old pieces of household items in this old home that have been carefully preserved for decades. You’ll never guess what this contraption is for. To find out, please see the Bangkok Folk Museum. 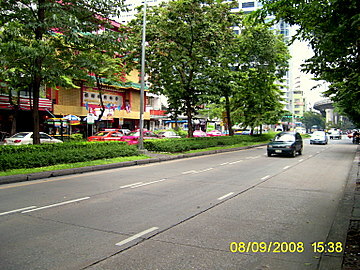 If you have visited Bangkok, you would probably have passed along this road. You might even have stayed in a hotel located here. But I’m sure the road didn’t look like this during your visit. It was more likely like this. Can you remember where this is? The Bangrak Museum has several more of such nostalgic images of old Bangkok. 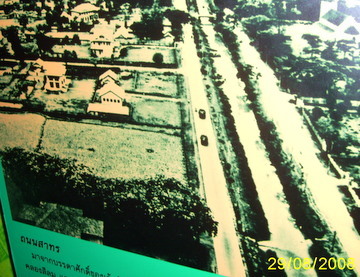 In 1892, a wealthy Chinese immigrant won a royal concession to dig a canal linking the Chao Phraya River near Wat Yannawa to Hua Lam Pong canal. The earth from the excavation was used to build a road running along each bank of the new canal. Locals called this canal Chao Sua Yom Canal and the road Phor Yom Road after the man who was responsible for them. A regulation passed in the 1870s, which awarded concessions to private individuals to build canals and roads, also granted the concession holder ownership to the strips of land 1,600m wide on both banks of the new canal. 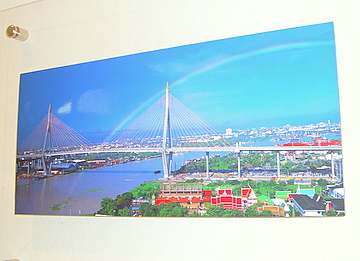 The project provided a windfall for Chao Sua Yom. The land on the banks of the canal was sold to rich merchants, both foreign and Thai, who built European styled mansions. 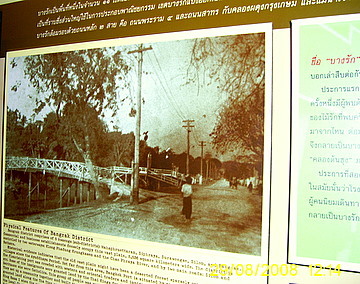 In recognition of his services, Chao Sua Yom was awarded the royal title Luang Sathon Rachayuk and the names of the road and canal were subsequently changed to Sathon in his honor. 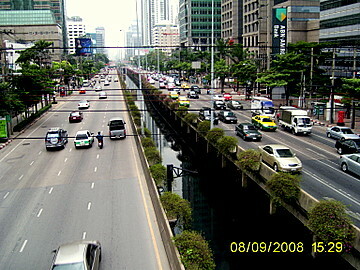 In the following century however, Sathon Road went through a complete transformation. The mushrooming of hotels, condominiums, serviced apartments, banks and offices turned the area into a prime district in Bangkok. Sathon Road hosts some of Bangkok's best. There are many more quaint tales about the Sathon area. What it’s like today? Find out more at Hotels in Sathon.